House Bill No. 1455 was recently signed into law, requiring condominium associations to complete specific steps prior to initiating a construction or design defect lawsuit or arbitration proceeding. This new legislation was codified as Section 82.119 and 82.120 of the Texas Property Code (the Texas Uniform Condominium Act) and took effect on September 1, 2015. Under Section 82.119, prior to filing suit, a Condominium Association (with eight or more units) now must: (1) obtain an inspection and written report from a licensed professional engineer (indentifying the defects, describing the current physical condition, and describing any modifications undertaken by the Association or homeowner); and (2) obtain approval from unit owners holding 50 percent of the total votes in the Association at a meeting called in accordance with the Association’s declarations or bylaws. At least 10 days prior to the engineer’s inspection under the first requirement, the Association must provide written notice to each party subject to the claim, allowing them to attend the inspection. Before the Association proceeds with the second requirement, the Association must provide copies of the engineer’s report to each party who may be subject to the claims and allow each such party at least 90 days to inspect and correct any condition identified in the engineer’s report. At least 30 days before conducting the meeting of the unit owners, the Condominium Association must also provide written notice of the meeting to all unit owners, and the notice must include a description of the construction defect claim, a copy of the engineer’s report, and other information pertaining to the cost of repair of the construction defect and the attorneys fees to be incurred in prosecuting the construction defect claim. 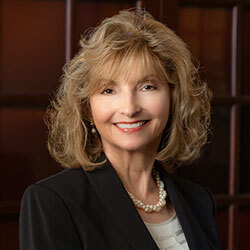 New Section 82.120 allows a condominium declaration to include a binding arbitration provision for construction defect claims and will limit the ability of the unit owners to amend the declaration to modify mandatory arbitration requirement for claims based upon acts that occurred prior to the amendment. This new legislation is not without critics. Some believe that it shifts expensive costs to the homeowners and imposes onerous requirements, which would, in effect, prevent homeowners from bringing legitimate claims. Critics have also argued that builders of condominiums were already protected under the Texas Residential Construction Liability Act (“RCLA”), which requires notice procedures prior to filing suit, allows builders the opportunity to cure, and provides for damage limitations and defenses. However, supporters maintain that this new statute provides protections for developers and their design professionals, who do not fall under the Texas RCLA. Supporters also believe it will strengthen private property rights by protecting condo owners from unknown and unauthorized disputes that lead to lower market values and complications in selling or refinancing their unit. As with any new law, only time will tell as to how it affects construction defect claims and property rights. If you have any questions regarding the new law, please contact us.